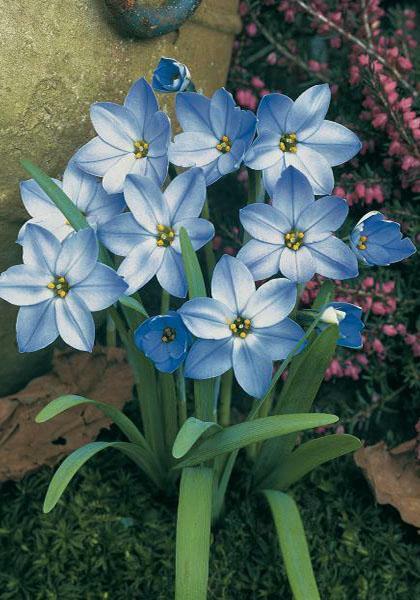 Ipheion should be planted in moderately fertile, moist but well drained soil which rich in humus or organic matter. They work best if they are planted in full sun in a South or West facing aspect to try and replicate the conditions of South America. Plant 5cm (2") deep and 7cm (3") apart. With their short height we recommend planting Ipheion in border with other shorter perennials such as Muscari or Dwarf Iris. Once they finish flowering they should be left undisturbed and would only need winter protection if temperatures are going to drop below 10 degrees Celsius. After a few years it is recommended that the clumps should be lifted and split to allow the bulbs space to develop. The Dwarf Iris are particularly suitable for the rockery or pots and small containers. Whereas the Dutch, English and Herbaceous type feel more at home in the border. As a whole Irises thrive best in postitions which receive large amounts of sun in spots where there is very good drainage, similar to Alliums which they can work well with in the border. They prefer a relatively neutral pH level but also a decent amount of space between each bulb, at least 15cm (6") so need to be kept weed free. 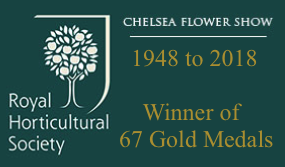 Once they have been planted water in well and in the UK and similar climates they will start to develop their foliage and flowers after the colder temperatures of Winter have passed in the Spring time. Once they flower you can pick the flowers without damaging the plant but while the foliage is green leave it as this is helping feed the bulb and keep lightly watered. Once the foliage starts to yellow it can be removed ready for the next growing season. Irises can be left in the ground undisturbed and over winter can be protected from the harshest weather with a layer of mulch which can be removed in the Spring. 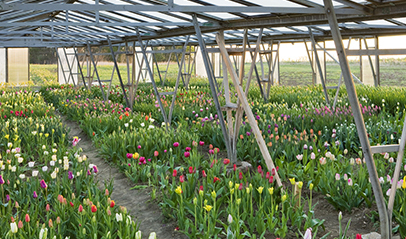 Once establised it is also recommended to inspect the bulbs and split up clumps which form over time to reduce competition and also allows you to remove any bulbs which may have rotted. Can be planted in more of a semi shaded position compared to some of the taller varieties as this will help their colours look more pronounced and increase the flowering time considerably. Plant 5cm (2") deep with similar spacing in well drained soil. Will thrive under almost any condition. 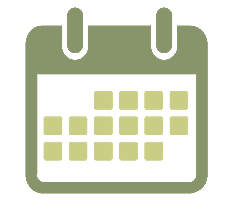 Plant at least 10cm (4") deep and 15cm (6") apart. They make excellent cut flowers. 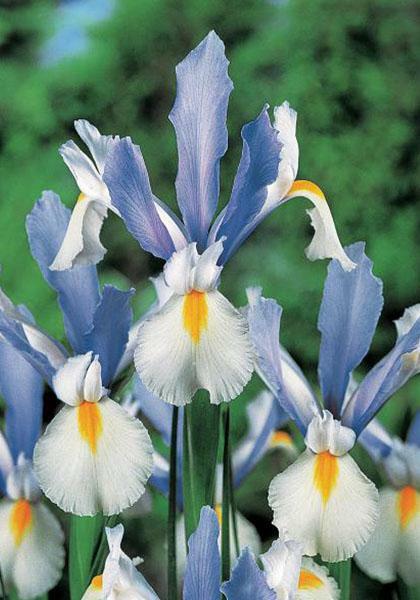 Like the Dwarf Iris plant in semi shade in a well drained soil with the rhizomes just below ground level.